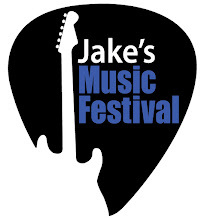 Jake's Music Festival: Tomorrow Night! The show is Saturday. That's tomorrow! Be there. It will be a blast. Great music. Great venue. The concession stand, with adult beverages, will be open. There's a silent auction. And free cake!!!!! Scroll down the page for more detail. See you tomorrow.